And clearly Civilization VI is a great game, and arguably a better turn-based strategy game than the earlier Civilization V. It’s also the best in the series to date thanks to innovative new features like the city districts, and also the fact that the map has more of an effect on how the game plays out this time. Also, another superb feature of Civilization VI is the large roster of Civilizations (civs for short) you can command in the game, from England to France, each with their own specific units and perks. And after adding Australia in a DLC pack for the game in February, developer Firaxis is now offering new civ Nubia in another paid DLC for Civilization VI. 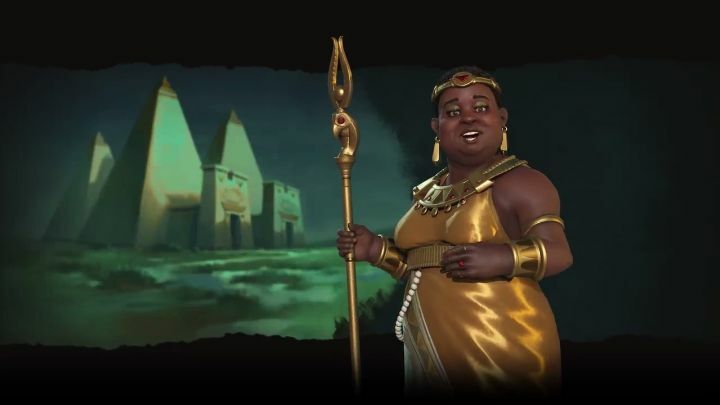 This civ from ancient Sudan is led by Queen Amanitore, and according to the preview video below will have several advantages in the game. Amongst these is the fact that Nubia will get extra production from any mines you build on strategic resources, plus expect more gold also from tiles with luxury resources. Also, it’s clear that Nubia will be a formidable enemy in the ancient era thanks to its special unit, the Pitati Archer. This is a cut above the standard archer other civs get, plus Queen Amanitore’s special ability also grants her the ability to build districts faster than other civs, especially if you’ve already built Nubia’s unique land improvement (the Nubian Pyramid) adjacent to the city’s centre. Aside from Nubia, Firaxis will also be adding a new playable scenario in this latest DLC pack for Civilization VI. This scenario pits Egypt vs Nubia in the ancient era, and this two civs will be competing to build Temples of Amun while also taking advantage of the opportunities offered by the terrain and the Nile river. There’s also a new Wonder of the World (Jebel Barkal), which might be of use to those pursuing a religious victory in the game, as it grants faith bonuses to your civ. Those still playing this latest Civilization game might want to take a look at this latest DLC pack then, as the new civ and scenario might make playing another game of Civilization VI an even more engaging experience, even if it’s clear that Firaxis’ latest game is already one of the best strategy games ever made.